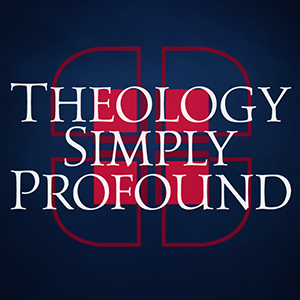 On this week’s episode of Theology Simply Profound, we republish the first episode of our series on Dispensationalism. This was originally episode 22. (1) My hermeneutic does not use “rightly divide the Word” as a starting point. You two spent much time developing that, but it’s not how I think about hermeneutics. I know very few guys who would agree with this as you presented it. (2) I’m a Calvinist, and a dispensationalist. I’m slowly making my way through Calvin’s Institutes right now. I know dispensationalists who are Arminian, but I know very many who are Calvinistic. 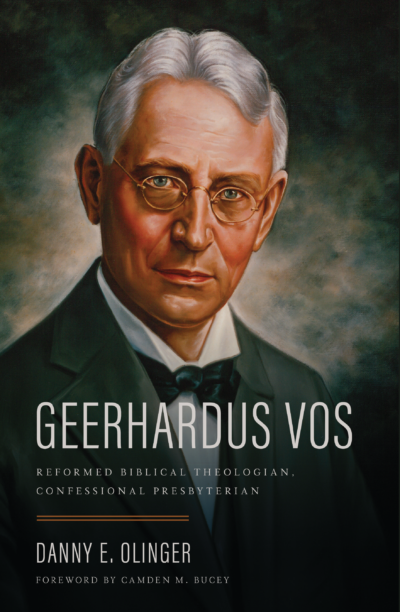 Indeed, as you acknowledged, dispensationalism came out of the Reformed movement. (3) You overstate the amount of direct dependence today’s dispensationalists depend upon Scofield and Darby and even Chafer. (4) I don’t feel like dispensationalism is predominant. The Gospel Coalition, T4G, Southern Seminary(s), and Ref21 are very hostile toward dispensationalism. You had good back and forth on this. (5) I do not watch popular dispensational media, and think of it as fringe. (6) You did get some things right, and you were for the most part very charitable and fair. Thank you both for your comments. You brought up and touched upon many areas of contrast and differences in this debate. I won’t have space in this comments section to answer them in detail. Please remember that this is the first of a thirteen part series that we did with three follow up episodes, so some of your questions might be answered in those episodes. The best resource I can give you to help guide through what I was proposing is my finished book which has many quotes from prominent Dispensationalists including PD. Feel free to email me at thorindwarf@hotmail.com if you wish to discuss any of these points in more detail. As to hermeneutics you mentioned how you personally view hermeneutics and that you know very few guys who use what I presented as their hermeneutics. You have to remember that I was using the hermeneutics that was published and propionate in Dispensationalism from Darby to Ryrie. You are correct that in the YRR movment Dispensationalism lost the last two generations and has diminished in popularity but in order to understand a system of theology we need to understand the foundational tenants as well as what it developed into at its most populare.You and Brian may not agree with Scofield, Chafer and Ryrie but they were the building block theologians that led to the height of Dispensationalism in the 1980’s and so that is where I needed to focus. In the series I would eventually bring out more of Progressive Dispensationalism but they were a later development in the late 1980’s, and also in my book in the second part I laid out the foundation of PD and pointed out the similarities and contrasts between traditional Dis and PD. This scope of my book and mp3 series focused through the PD movement with an emphasis on Ryrie Dispensationalism. I understand that you hold to a different type of Dispensationalism but that does not mean that the Ryrie type does not still exist, because it does even at the Masters Seminary. More importantly for the scope of my project I needed to laid out the historical theology of Dispensationalism to help those in the Reformed community that only know bits and pieces so that they might understand where things like the Rapture, Tribulation Period, Millennial Kingdom and the two peoples of God come from. I was not trying to give a complete history and variations of all of Dispensationalism. This is why I did not use Progressive Covenantalism or New Covenant Theology. These are two very popular views in the YRR movement and Gospel Co. ETC. As far as Calvinism goes you have to remember again that I was presenting a historical basis for the most popular understanding of Dispensationalism and that was a semi-Arminianism not Calvinism. That does not mean that there were no Calvinists who were Dispensationalists only that this was a very minor position, and I don’t count four point Calvinists as Calvinists. In the Mp3 series I used quotes that supported my claims regarding Dispensationalism but I didn’t use the vast majority of quotes that I had. In the book I use many more. (1) Not all dispensationalists adopt the two peoples of God model. Progressive dispensationalists especially do not adopt that model. As a dispensationalist, I hold to a unified people of God. (2) To expand on Ryan’s second point, Calvinistic dispensationalists aren’t limited to progressive dispensationalists. Calvinistic dispensationalism predates PD, and there are traditional/revised dispensationalists who are also Calvinistic. (3) My dispensationalism is unrelated to my political views regarding Israel. Israel is at present an unrepentant people, so there is no biblical basis to claim the promised land at the present time (which is different from saying they have a legal, political right to a homeland). I had wondered if this was a progressive dispensationalist view, but not so long ago I saw a traditional dispensationalist articulate the same view. (4) In addition to not drawing much of Scofield, Darby, and Chafer, I’d have to say that I’m not personally that impressed with Ryrie or Walvoord either. If the decision to remain a dispensationalist came down to accepting Ryrie and Walvoord’s exegesis, I wouldn’t be a dispensationalist either. Among the traditionalists, I find the work of Alva McClain and Michael Vlach more impressive than that of Walvoord and Ryrie, and as a PD I especially like the work of Blaising and Saucy. At the heart of my dispensationalism is the belief that God fulfills his promises. Promises are not types that can be fulfilled on a different register. Promises are speech acts that commit the speaker to a course of action. Promises can be expanded beyond the original recipients, but God would be unfaithful if he did not keep the promises to the original recipients. For instance, I believe that the land promise to Israel has been expanded to include all of God’s people on the renewed earth. But I don’t think this cancels out God’s promise to Israel of an eternal possession of its particular land. I am grateful that you and Ryan were charitable in your comments, it is good to have discussions among the people of God so thank you guys for that. I think I disagree with the statement that you said; “Not all Dispensationalists adopt a peoples of God model.” I think that this is actually what makes Dispensationalism Dispensationalism. The Dis under Chafer and Scofield held a very sharp distinction between the two peoples of God even going so far as to say that they will be in different eternal places. The Ryrie/Walvoord form softened this saying that they would be together but distinct for eternity. PD’s hold to two peoples of God with the change that these two peoples will become one people for eternity, I agree that this is very different from traditional Dis but this still is a two peoples of God understanding. (pd still hold to Israel being given the land for eternity, thus keeping a distinction between Israel and the church). God made promises only for Israel and He has a distinct plan for the Church. This is a two people of God view and is supported by what you say in your last point that God made promises to Israel and so they are for Israel, even though in the end the church will be brought into the fulfillment of these promises. This is very different than Ryrie but still a two people of God system. (If I have misunderstood you, I am sorry, just email me and we can discuss this further). I agree that there are Dispensationalists today who are not PD but rather more traditional like Vlach and MacArthur who are Calvinists, but my point was that this has not been the dominate view in Dispensationalism. The dominate view has been a Semi-Arminianism. And as I said before four point Calvinists do not count as Calvinists. As you say in point 4 you are not impressed with Scofield, Darby, Chafer, Ryrie or Walvoord, (which is why you are a PD) but I am presenting the historical theological development of Dis so although you personally don’t hold to these views that doesn’t mean that I am not correct in my presentation. I enjoyed reading Saucy and Blaising and the progressives and they definitely are trying to answer many of the criticism that Covenant Theology has made regarding Dispensationalism and I appreciate the effort. As you say in your last point, you believe that the promises were made by God to Israel so they will need to be fulfilled in Israel, although God has a right to expand these blessings and He will by including the Church for the fulfilled blessings in the New Earth. But you still hold to an eternal distinction of the church and Israel by saying that Israel will have an eternal possession of its particular land. This is what PD teaches and although it is better than the forms of Dispensationalism of the past it is still a two people of God system. I would be glad to discuss any and all of these points further so feel free to email me. I have studied NCT extensively and my conclusion is that it is as far away from Dispensationalism can get and yet still be in the Dispensational camp. However; it is so different than what Dispensationalism looks like I thought it would only either be confusing in what I was trying to do in the book or I would have had to add a third section and 100 pages to the book and that would not have been helpful. My aim is the series and in the book is for people who hold to Dispensationalism to get a better understanding of traditional, conservative Covenant Theology and vice versa. I wanted to put an emphasis on pointing out where the core misunderstandings are and bring some clarifications. Dispensationalists need to understand that people who hold to Covenant Theology do not believe in Replacement Theology. And the Reformed need to understand that the vast majority of Dispensationalists do not believe in multiple ways of salvation. PD is very helpful and has some good correctives for traditional Dispensationalism but it is still much closer to traditional Dispensationalism then it is to Covenant Theology. PD still has a Rapture, Tribulation, Millennial Kingdom for the purpose of the fulfillment of the Abrahamic Covenant and an eternal distinction between Israel and the Church. Thanks for the comments an please feel free to follow up. Thank you for your follow-up comments. I fully recognize that dispensationalism is a broad term that covers a lot of territory both in terms of present views and historically. This makes summaries difficult, so I can empathize with you on that point. I think that part of the problem might have been the way the discussion shifted between presenting historical views and in making comments on the present. I wouldn’t have had the concerns I raised if the summary had been a straight-up historical summary and a critique of historical figures. But the way the discussion unfolded what was historical seemed to bleed into some present-day generalizations that don’t hold. One clarification on how I hold to one people of God and think that the nation Israel will receive the promises given to it. I would reject the idea that Israel will receive the future fulfillment of specific promises because it is a separate people of God. That is impossible. Ephesians 2 speaks of the church as one new man that unites Jew and Gentile. To sunder this one new man would be to undo the work of the cross. However, the union of Jew and Gentile into one new man does not mean that distinctions between nations have disappeared any more than our union with Christ means there are no more males and females (Gal. 3:28). Non-dispensationalists have cogently argued that nations are a creational reality which will not be done away with as a result of redemption. Christopher J. H. Wright observes, “The nations of humanity preoccupy the biblical narrative from beginning to end. . . . The obvious reason for this is that the Bible is, of course, preoccupied with the relationship between God and humanity, and humanity exists in nations. And where the Bible focuses especially on the people of God, that people necessarily lives in history in the midst of the nations.” (The Mission of God, 454). Wright argues that the nations are part of the creation order: “[T]he Bible does not imply that ethnic or national diversity is in itself sinful or the product of the Fall . . . . Rather, nations are simply ‘there’ as a given part of the human race as God created it to be.” Wright notes that Paul affirms this in Acts 17:26, “And he made from one man every nation of mankind to live on all the face of the earth, having determined allotted periods and the boundaries of their dwelling place.” He concludes, “National distinctives, then, are part of the kaleidoscopic diversity of creation at the human level, analogous to the wonderful prodigality of biodiversity at every other level of God’s creation” (Ibid., 455-56). Daniel Strange argues the structure of Genesis 10-11 supports the claim that the diversity of nations is part of the creation order. The order of those chapters is not chronological. By placing the Babel event later, Genesis avoids the idea that the division into nations is itself a curse and confirms that the “scattering” was not merely a judgment but an enforced fulfillment of God’s command (and thus tied to blessing) (Their Rock is Not Like Our Rock, 124). If nations are part of the creation order, it is also clear that nations have been affected by the Fall. And if nations are affected by the Fall, then they form a part of the creation order in need of redemption: “The mission of God is not merely the salvation of innumerable souls but specifically the healing of the nations.” Thus in new creation one would expect to see nations, and this is what one does see in Scripture: “The inhabitants of the new creation are not portrayed as a homogenized mass or as a single global culture. Rather they will display the continuing glorious diversity of the human race through history: People of every tribe and language and people and nation will bring their wealth and their praises into the city of God (Rev 7:9; 21:24-26).” (Wright, 456). On this vision, presented here by non-dispensationalists, the single people of God does not cancel out personal and national distinctions. And just as God could give promises to an individual without threatening the unity of the people of God, so God can give promises to a specific nation without threatening the unity of the people of God. I think this is especially the case in the way that God extends these promises. Israel gets the specific land promised to her, but the land promise is then extended to the Gentiles so that the nations also receive lands. If all the nations are to receive land in the new earth, why can’t Israel receive the one promised to her? I’m not sure why this formulation would not be acceptable to dispensationalists and covenant theologians alike (and I’m willing to hear your thoughts on the matter), but do I hope it communicates that I am doing my best to see God both fulfill the specific promises made to the nation Israel *and* to seek to maintain the unity of the people of God for eternity. I think you may have misunderstood what I was trying to do in the series. I was trying to help people who hold to Covenant Theology understand what Dispensationalism teaches and has taught. I was presenting a view of Dispensationalism that has been taught as Dispensationalism when Dispensationalism was at its most popular. This would have been in the late 1980’s and early 1990’s. I think the reason why you are disagreeing with me is because you don’t hold to this rendition of Dispensationalism. But that doesn’t make my presentation wrong. I am more than willing to discuss your understanding of any theological issue and what you have presented is close to progressive dispensationalism. I have laid out in my book (and to a smaller degree in the podcast) that what I presented as Dispensationalism is correct. I use Ryrie, Walvoord, Scofield, Chafer and many others to demonstrate that these teachings have been the major teachings of Dispensationalism for the last two hundred years. And many who hold to Dispensationalism today still hold to the doctrines that I described. Progressive Dispensationalism ends up teaching many of the same major categories as the earlier forms but have changed from Chafer and Ryrie on many of the specifics. As an example they both teach a Millennial Kingdom but Progressives do away with a literal temple and literal sacrifices. You seem to be saying that because what I described does not correspond to what you believe then I have misrepresented Dispensationalism. I am going to disagree with your assessment. I am sure it is true that I did not present a system of theology that matches with yours but that was not my goal. If you want to say I was incorrect in my representation of Ryrie or Chafer or the progressives that is fine, please point out what I said they believe and how I was incorrect, only be specific. I am fine with that, I want to know if I got something wrong but it sounds more like you are disagreeing based on what you believe not on what they believe. I am perfectly fine with interacting with the theological points that you brought out, so I will move on to those. You talked about the promises made to Israel as a nation will be fulfilled in Israel because all nations will still exist in the NH/NE, and that some non-dispensationalists agree with this, such as C. Wright. One of the problems with your premise is that most Covenant Theologians would not agree that the nations will continue in the NH/NE. There are some in the Reformed world that hold to Neo-Calvinism that might agree with you but that is a minor position. Covenant Theology has taught that the nations are judged and do not continue in the NH/NE. In fact when Rev 21 says that the nations will bring their treasure into the New Jerusalem the passage is saying that they come into the New Jerusalem to be part of it, of course for Covenant Theology the people of God is the New Jerusalem so the point is that the people of God is made up of people from every tribe and tongue and nation but that they become one. That does not mean that we lose who we are. Those of African descent will still be African or Greek or Asian or European as far as their ethnicity goes, but as I Peter 2:9a tells us; But you are a chosen race, a royal priesthood, a holy nation, a people for his own possession,…” God makes us into one nation not many. There will not be a geo-political nation called Israel in the NH/NE just like there will not be an America or Finland etc. We will all be made into one nation with Christ as our King. I don’t believe that nations are sinful or part of the Fall necessarily but I don’t believe that we will have different nations in the NH/NE. Hebrews tells us that the land that was promised to Israel is the NH/NE which is inherited by all the people of God not a geo-political nation. Although if nations are part of the NH/Ne this would not change the fulfillment of the Abrahamic Covenant in Christ and not in the Nation of Israel as Gal 3 tells us. So even if C. Wright is correct, I would still disagree with your conclusion. Your point seems to be that nations were part of the created order so therefor they will exist in the NH/NE. But marriage is also part of the created order and marriage will not exist in the NH/NE, so therefore it is not a necessity that nations do. As you mentioned C Wright is not a dispensationalist and therefore would not (I assume) hold that the nation of Israel will receive the land promised in the Abrahamic Covenant so for C. Wright the continuation of the nations in the NH/NE does not therefore necessarily mean that Israel will be given the Promised Land For eternity. As for our discussion my arguments regarding why Israel will not receive that land are the same as I have argued in the podcast series. And are summed up in Galatians 3:16; “Now the promises were made to Abraham and to his offspring, it does not say “And to offsprings,” referring too many, but referring to one, “And to your offspring,” who is Christ.” Paul here; (at least as it has been interpreted in Covenant Theology), is saying that the promises that were made to Abraham do not find their fulfillment in the many; i.e. the nation of Israel, they find their fulfillment in Christ. He goes on to say in the passage that the benefits of those promises are then given to all those who are united to Christ, i.e. all who are saved. And it doesn’t matter what your gender, social status or ethnicity is because we all the same in Christ.